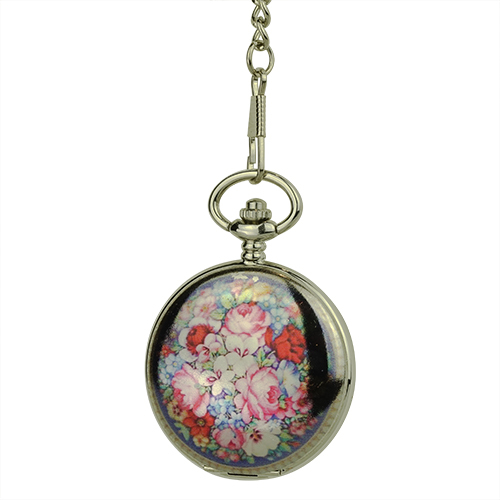 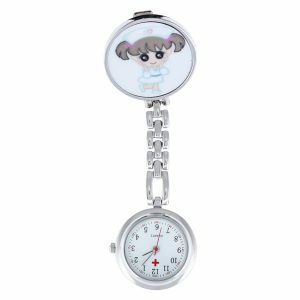 Lush Colorful Florals Hunter Pocket Watch - Fob & Co. This glossy silver timepiece features intricate artwork depicting a garden filled with variety of roses on the front cover. 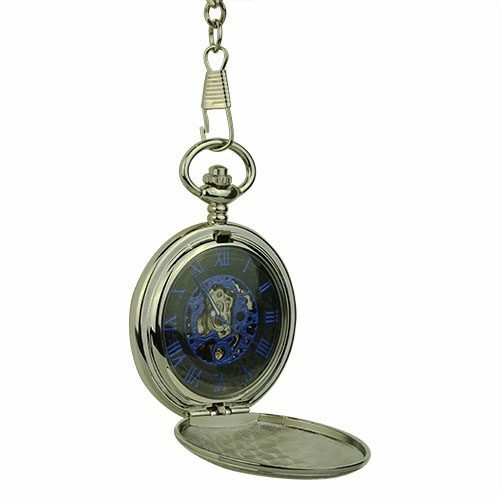 The inside boasts blue Roman numerals on a black ring background complemented by a golden skeleton. 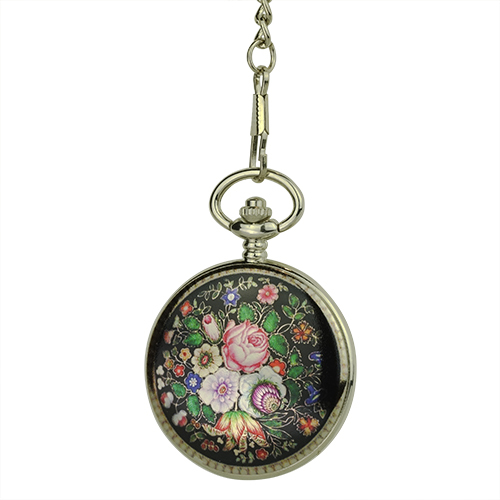 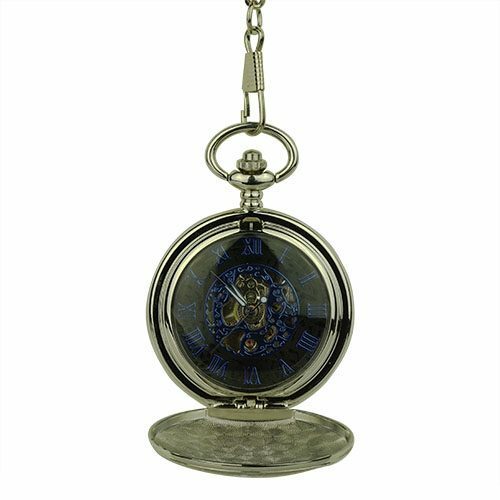 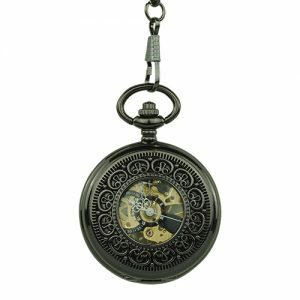 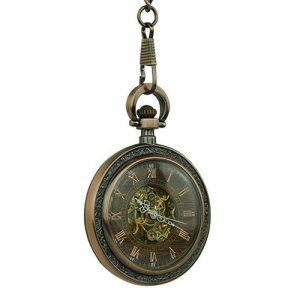 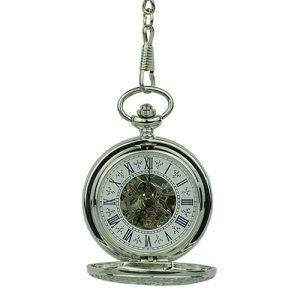 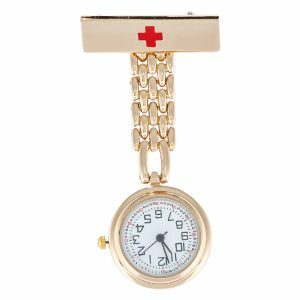 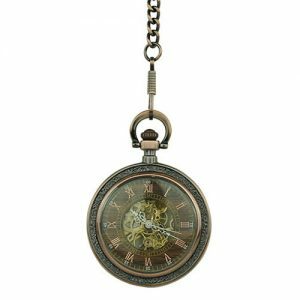 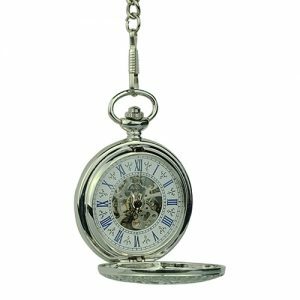 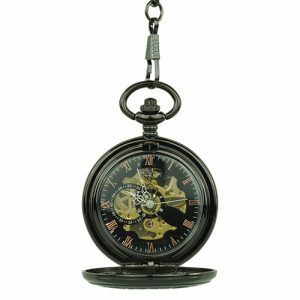 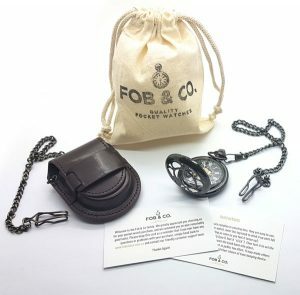 Turn this good-looking pocket watch over to see even more beautiful roses!